Plus, China’s take on the violence in Ukraine, U.S.-China military ties, and the top Chinese media outlets. Friday links. China’s Vice Foreign Minister Liu Zhenmin concluded a four-day visit to North Korea on Thursday, and planned to travel to South Korea the same day. In a question to Chinese Foreign Ministry Spokesperson Hua Chunying, a reporter called the dual visits “a rare shuttle diplomatic activity,” suggesting Liu was acting as a mediator between the two Koreas. Hua called both visits “a regular exchange.” She emphasized that “China maintains friendly relations and cooperation” with both North and South Korea. As to the purpose of Liu’s visit to Pyongyang and Seoul, Hua kept things fairly vague. “China commits to upholding peace and stability on the Peninsula, promoting the process of denuclearization and the Six-Party Talks. China will continue to make positive efforts to that end in its own way,” she said. Xinhua’s report went further, saying that Liu “is on a diplomacy mission on the Korean Peninsula to push for the resumption of nuclear talks.” Liu was also expected to show China’s support for improved relations between Pyongyang and Seoul. China has been encouraged by recent meetings between North and South Korean officials, as well as by the family reunions that took place this week. China has long pushed for a resumption of the Six-Party Talks or similar dialogue mechanism to handle the issue of North Korea’s nuclear program. 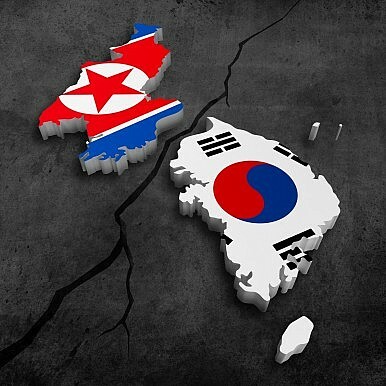 Recent dialogues between Seoul and Pyongyang might have given China’s leaders hope that talks over the nuclear issue can begin soon. In other news, China has been watching the violence in Ukraine closely. Asked about the situation by reporters, Foreign Ministry Spokesperson Hua Chunying expressed China’s deep concern and regret for the casualties. However, she also emphasized China’s principles of “non-interference in each other’s internal affairs” and called for the world to “stand on an objective, balanced and fair footing.” In similar situations (for example, in the early stages of the Syria crisis), China has criticized the West for being overly supportive of protestors calling for regime change. In military news, my colleague Zachary wrote earlier this week about U.S. Captain James Farnell’s assessment that China is preparing for a “short, sharp war” against Japanese forces in the East China Sea. Yesterday, according to Reuters, spokesman Rear Admiral John Kirby tried to distance the Pentagon from Farnell’s remarks. Asked whether he shared Farnell’s opinion, Kirby replied, “It’s for China to speak to China’s intentions and motivations and their relations with their neighbors. And nothing’s changed about our view here.” He also “absolutely” refuted the idea that Farnell’s remarks signaled a tougher U.S. military position towards China, and repeated the Pentagon’s often-stated desire for closer military-to-military relations with China. As evidence of this, U.S. Army Chief of Staff General Raymond Odierno is in Beijing today to meet with his military counterparts. “We have many common objectives about our countries so I think it’s important to have this kind of dialogue,” Odierno reportedly told PLA deputy chief of general staff Wang Ning. Finally, Danwei has released their most recent report on the popularity of various media outlets in China. Notable trends included the continued rise in the number of Internet users, and the increased popularity of mobile devices to access the internet. 2013 also saw a marked decline in the popularity of microblog platform Sino Weibo, which Danwei attributed to the rise of competing messaging app WeChat and “a lack of innovation from Sina” as well as government censorship. Still, Sina Weibo remained at the top of Danwei’s list of Internet sites, with an estimated 25 million active users each day. In terms of print media, Reference News topped the list with 3.4 million copies, followed by People’s Daily and Global Times.